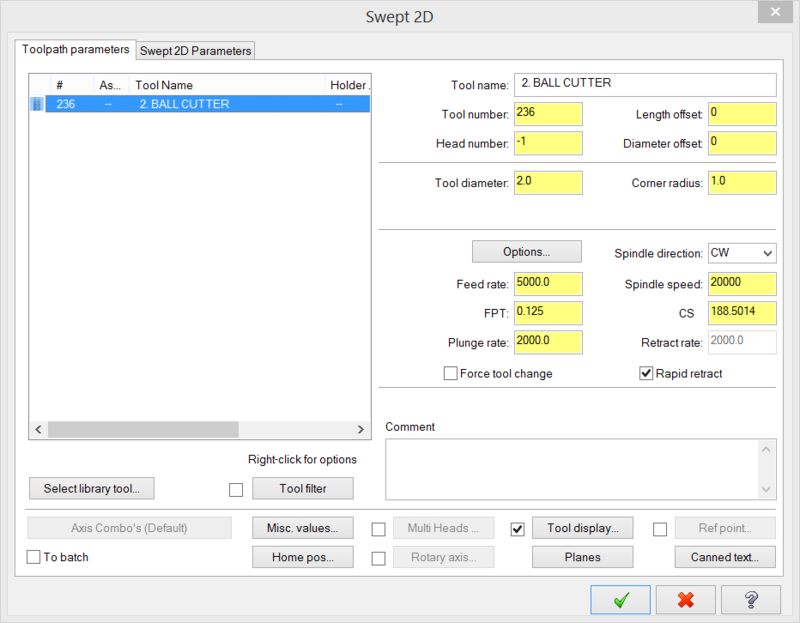 Wireframe Swept 2D is actually a 2½D toolpath that is created by sweeping one contour (across contour) along a second contour (along contour). 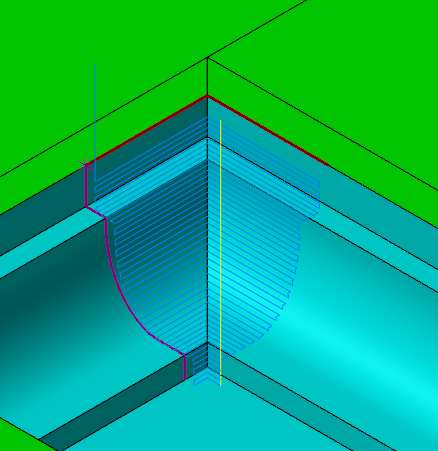 This toolpath allows only one along contour. 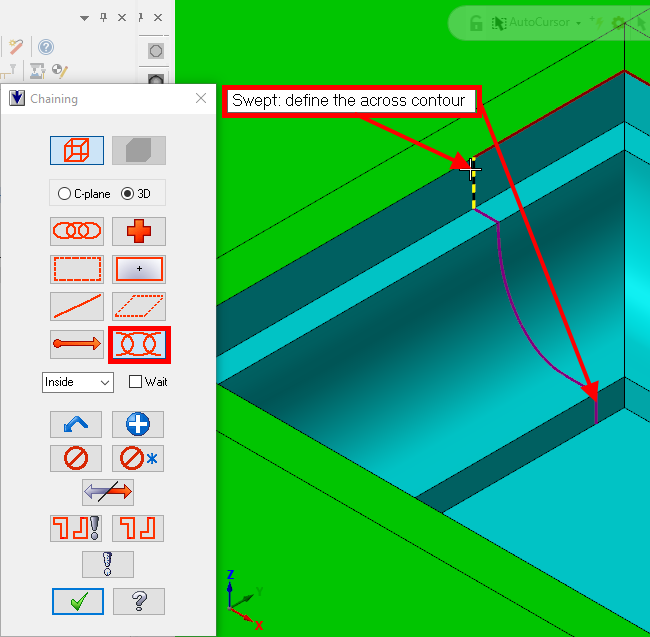 The across and along contours blend together which generates a 2½D toolpath. 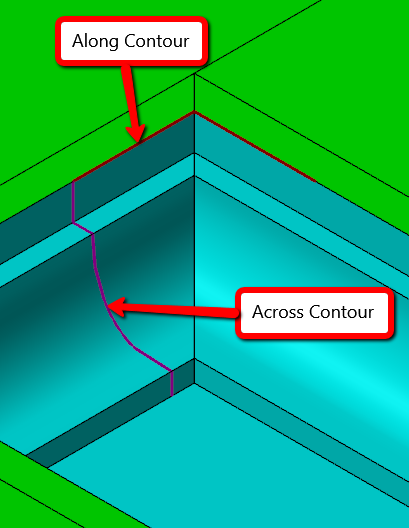 Below is an example of where a swept operation would be used to clean out corners in a profile, minimizing the radius. 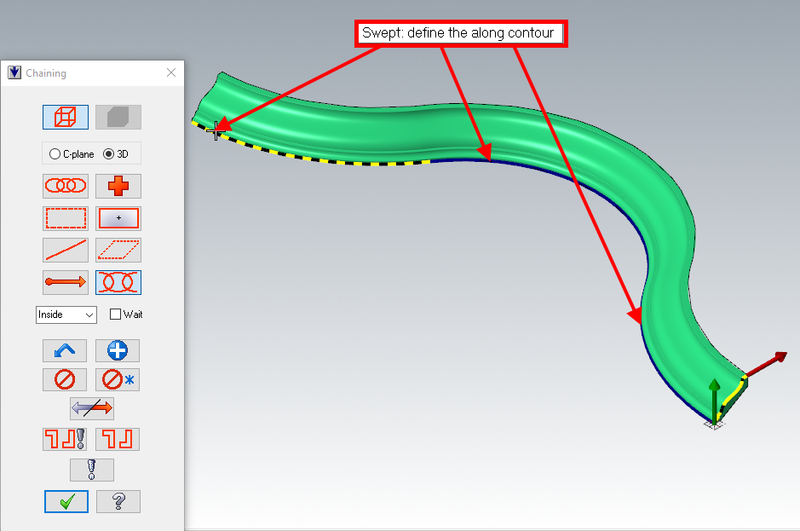 This assumes the profile has been created with a contour operation with a profile tool. 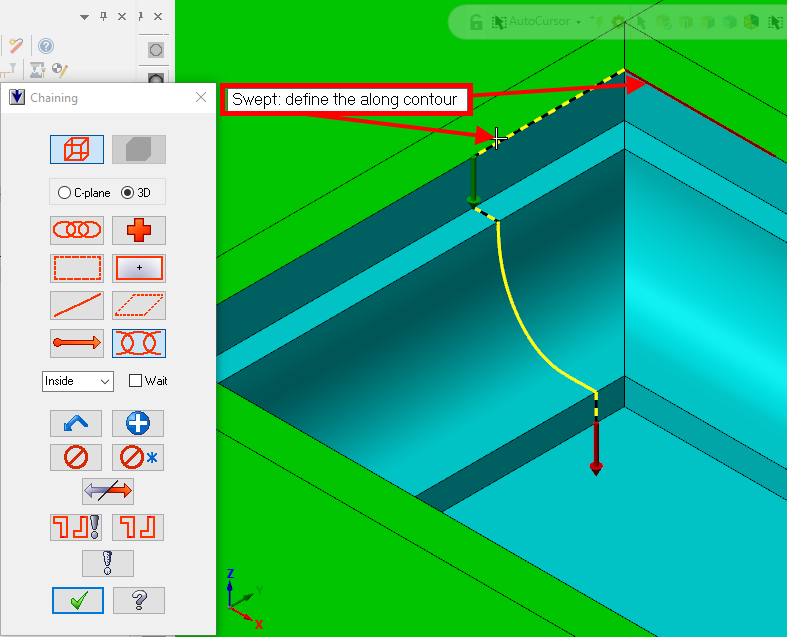 Note: for this example, surfaces have been created to make this part easier to see; however wireframe is required for this toolpath. Surfaces and solids are unnecessary. 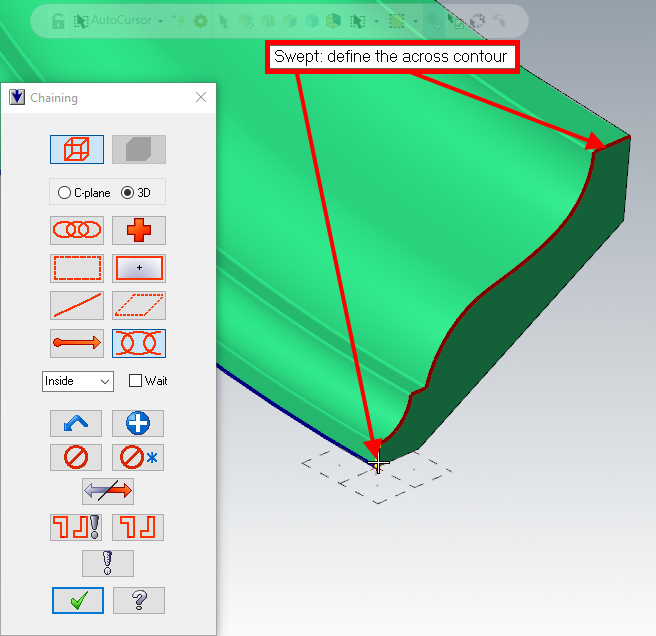 Create geometry in the shape of the profile which will be the across contour and create geometry that dictates the path the profile will follow. Note: the geometry colour and line weight is irrelevant. Tip: Use partial chain, select the start and end of the chain (keep in mind the direction of the chain). 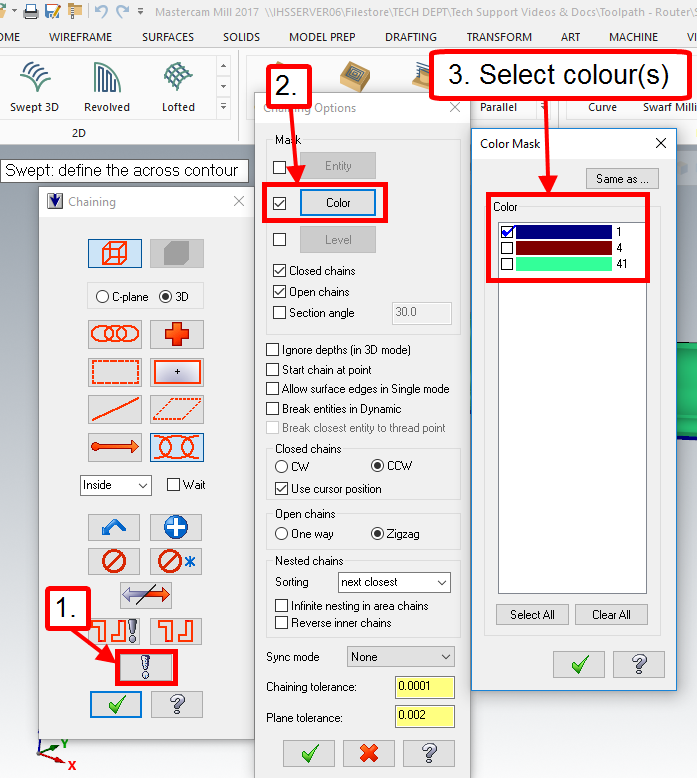 If different colour geometry has been used, select chain based on geometry colour and use chain instead of partial chain. 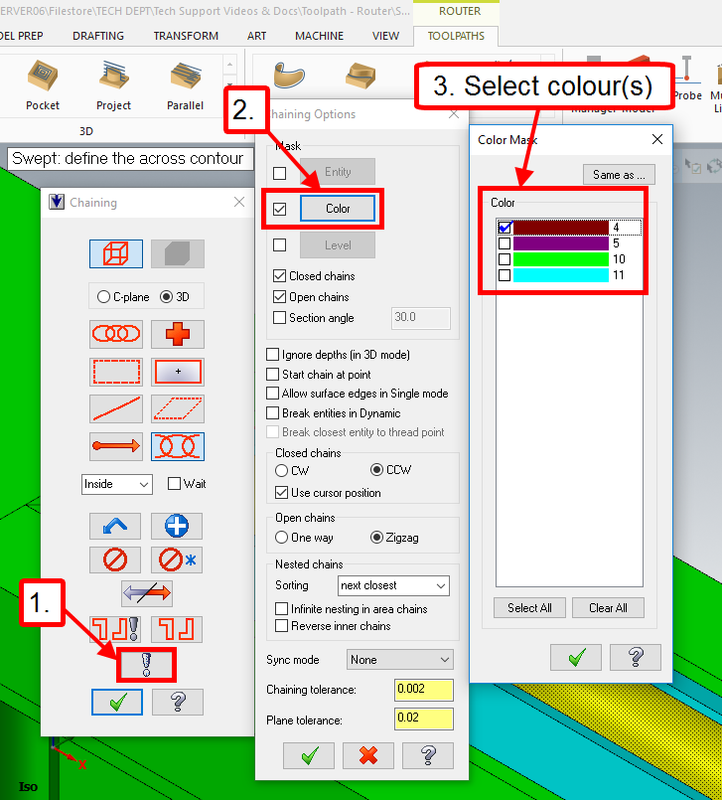 Select the across geometry and the along geometry using one of the options stated above. 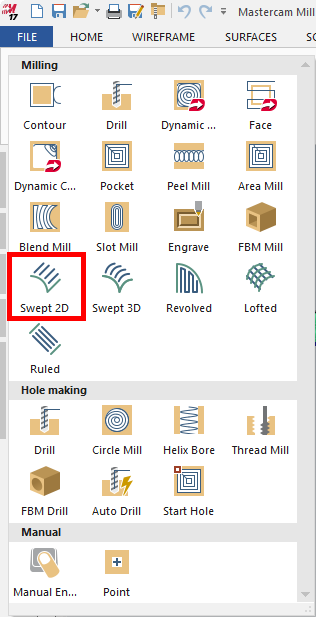 Keep in mind the direction of these contours as the direction of them dictate the direction the toolpath will go. 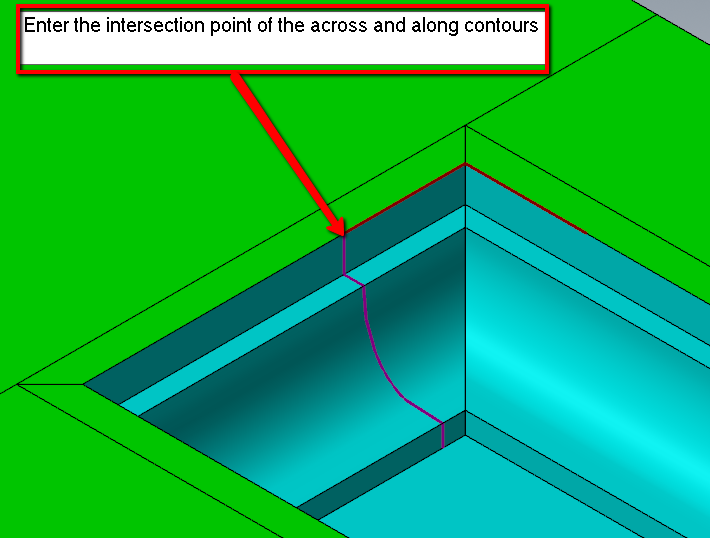 Select the point of intersection. 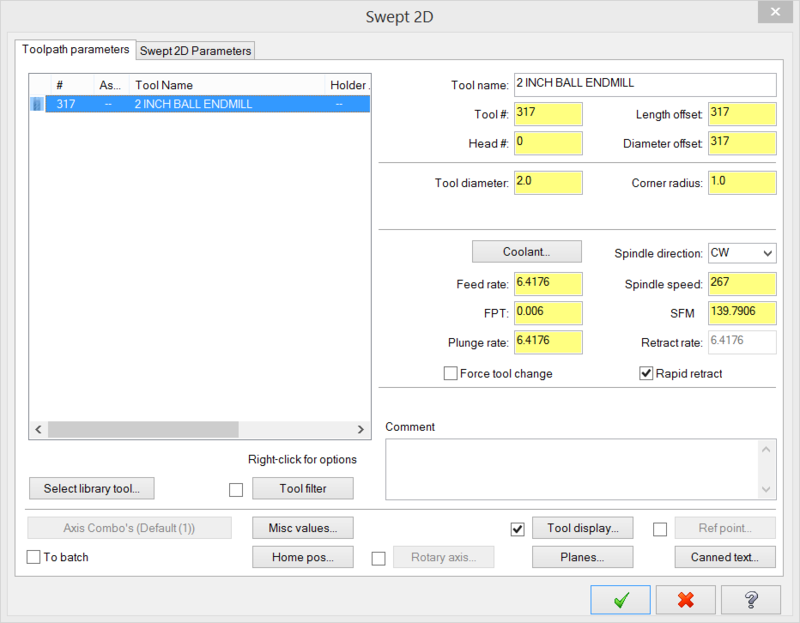 Review parameters (this may need some modification depending on your part and the directions of your chains). 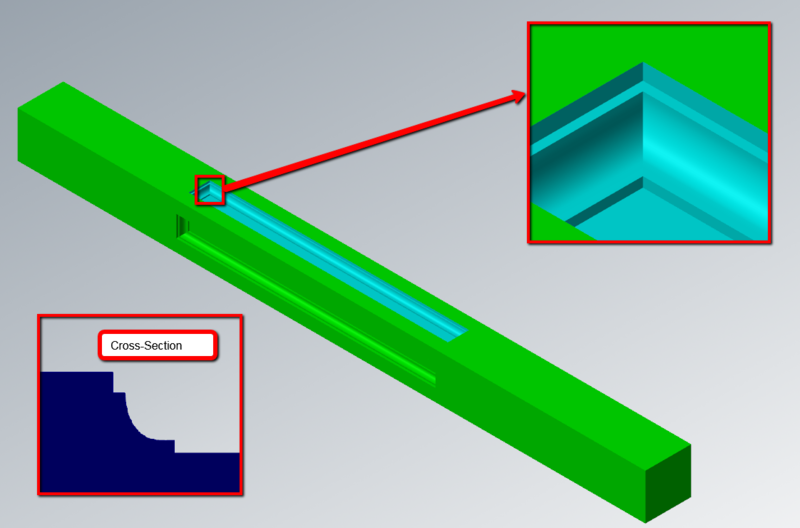 Below is an example of where a swept operation would be used to create the profile and no roughing operation is present. 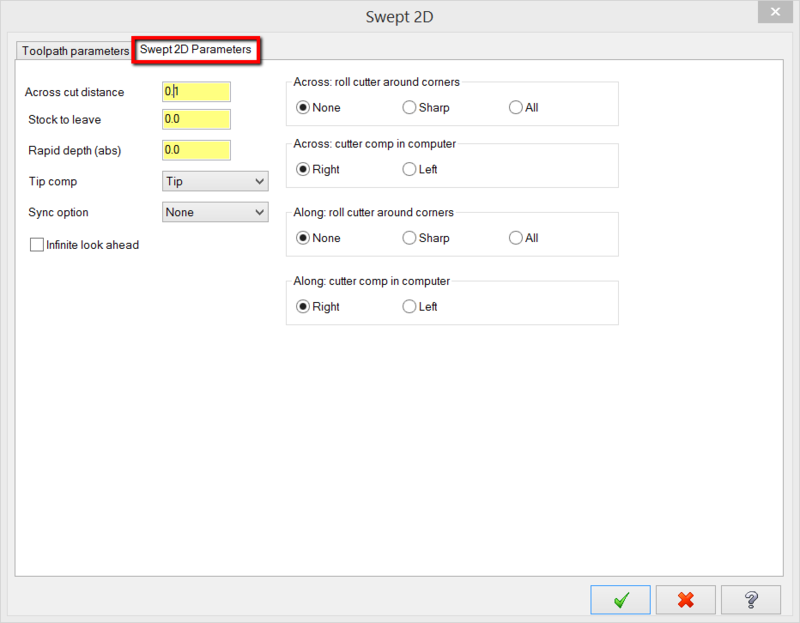 Select across geometry and along geometry using one of the options stated above. 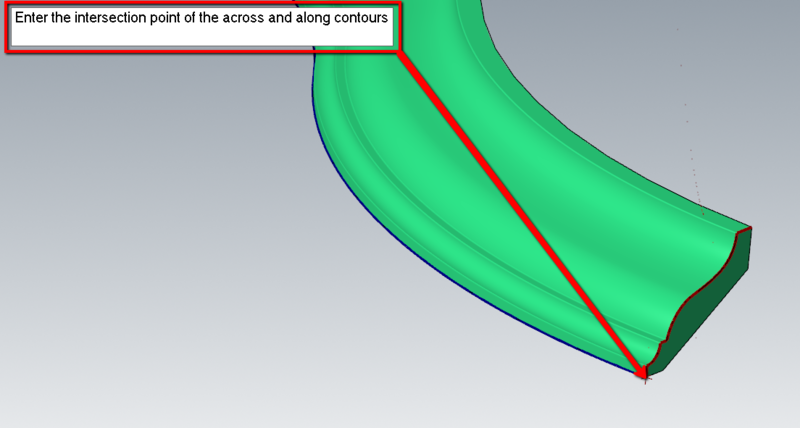 Keep in mind the direction of these contours as the direction of them dictate the direction the toolpath will go. 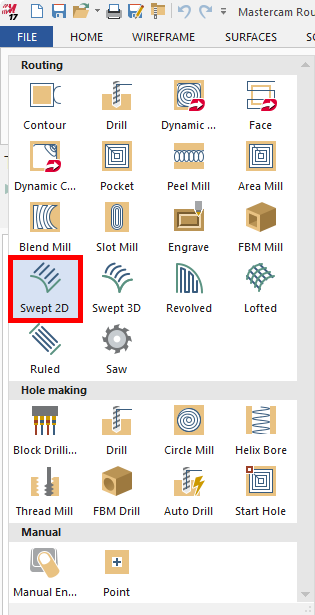 This toolpath can also be selected to rough out the material as well. A C-Hook is used for this. 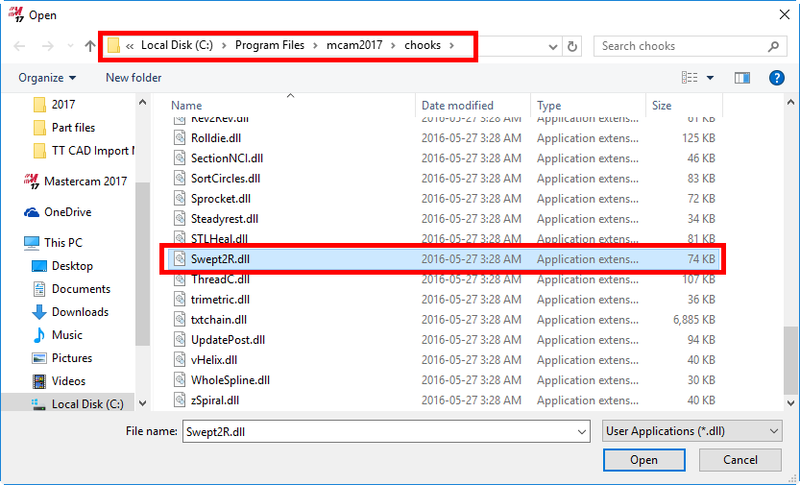 Press Alt+C or select Run Add-In icon under Home tab. 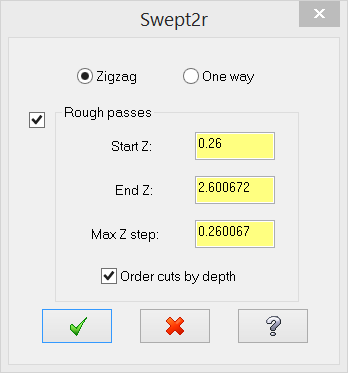 Set the roughing parameters as needed.